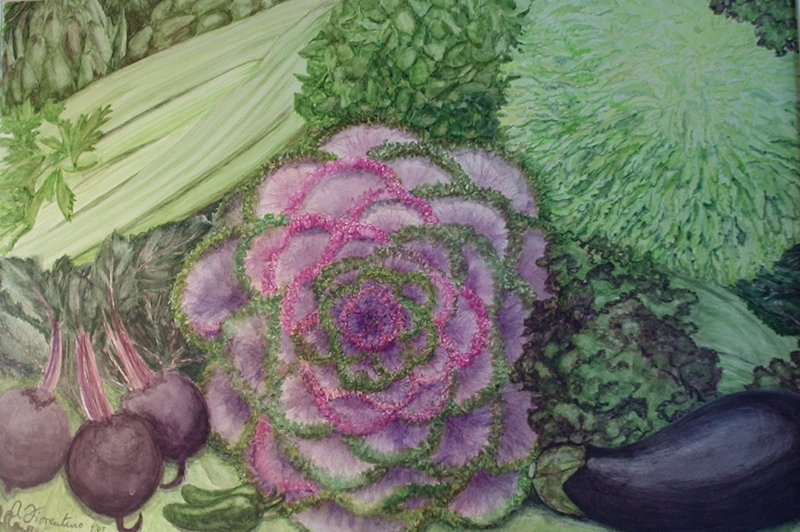 "Decorative Kale I", watercolor 6.5" x 7.5". 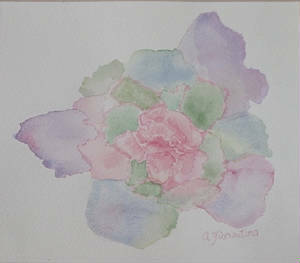 This was the preliminary color sketch for the larger painting that appears on my Home page. It's pale and delicate, but I like it. 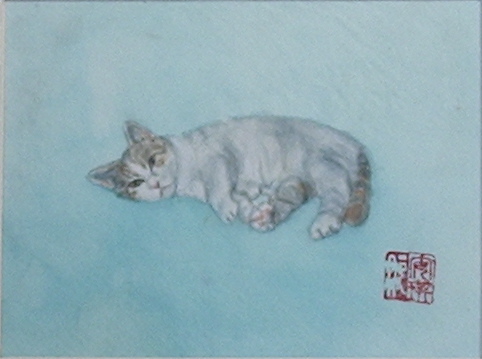 Below: "Captain Kirk", Chinese brush painting on silk, 5.5" x 7.5". A quirky N.Y. cat who likes to sit on an outside window ledge, ten stories up. He has an Oriental air, so I painted him on Chinese silk and signed it with my chop mark. 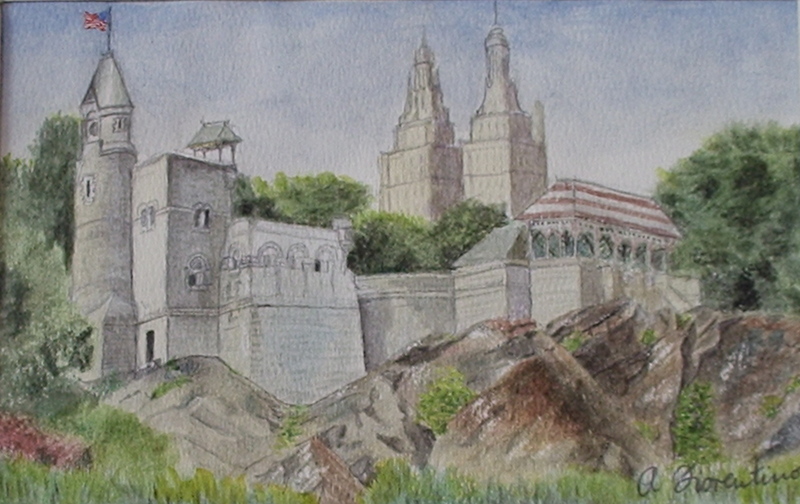 "Belvedere Castle", Central Park, NYC., 1998. Watercolor, 6" x 9". When I revisited this spot last month, the two towers in the background had vanished. 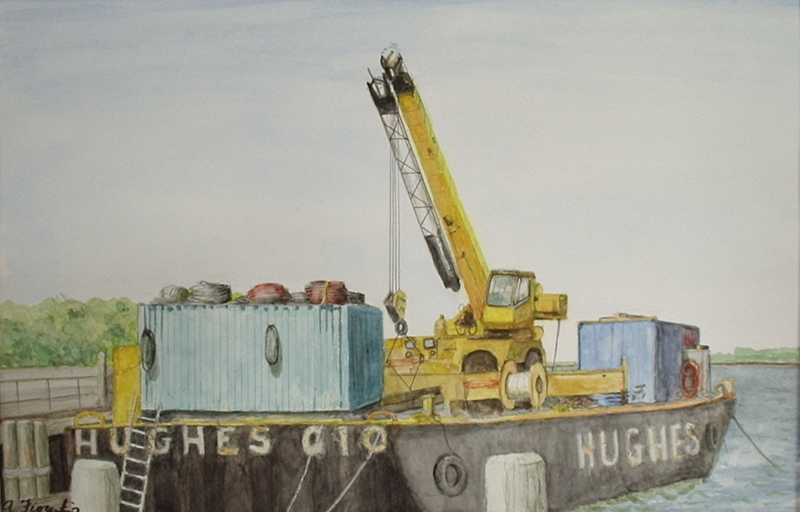 "Hughes Barge", watercolor, 11" x 17". A barge that was moored near our group's painting spot in Battery Park, NYC. 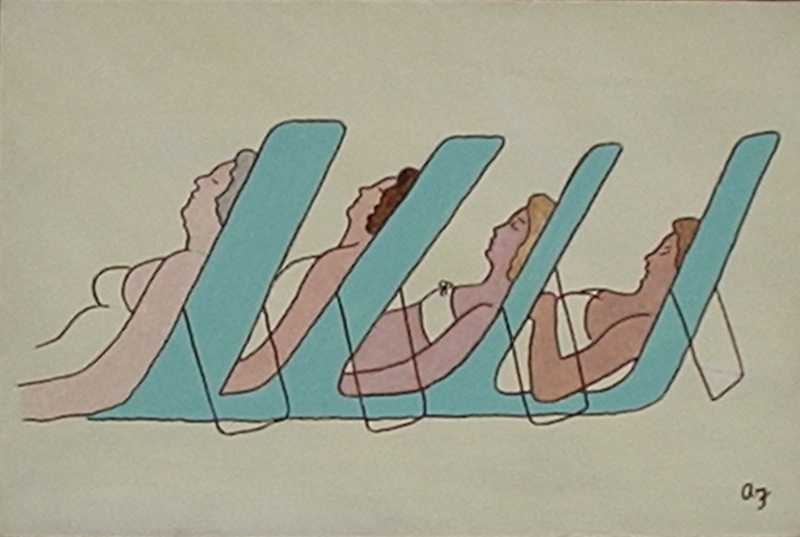 "Four Sunbathers", acrylic on canvas, 8" x 12". These four women lined up in front of me, just like this, in Puerto Rico! 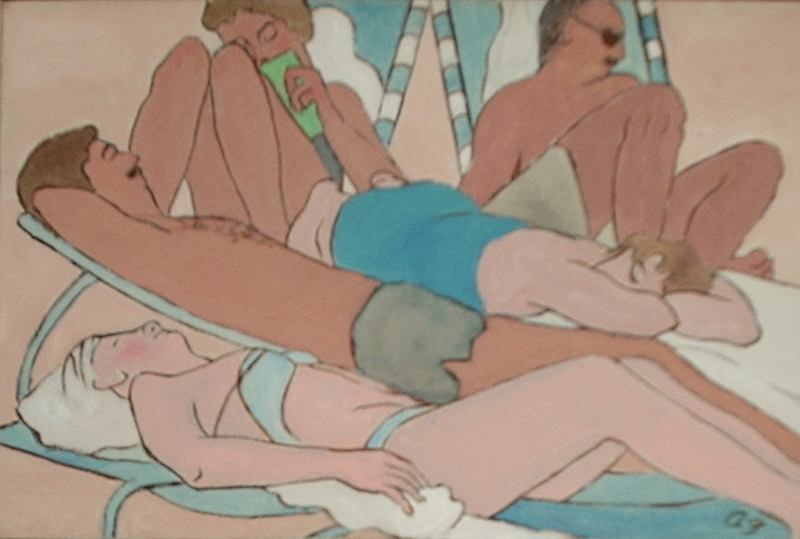 "Crowded Beach", acrylic on canvas, 8" x 12". "Beached", acrylic on canvas, 10" x 14". 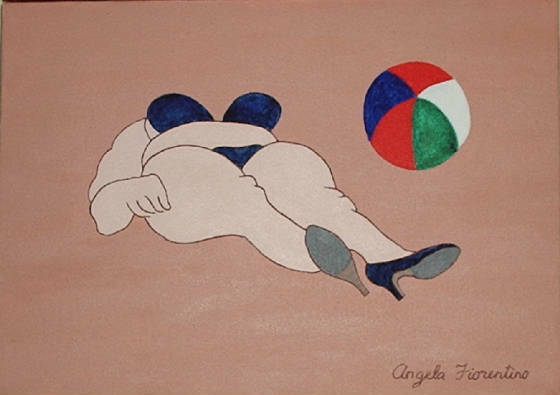 If you look like this on the beach, don't lie down in front of a woman with a sketchbook! I added the ball.